The top integration use cases for moving to the cloud––from integrating SaaS applications with on-premise data to migrating existing data to the cloud. Why traditional approaches to the above use cases do not suffice, and the role APIs can play in the process. 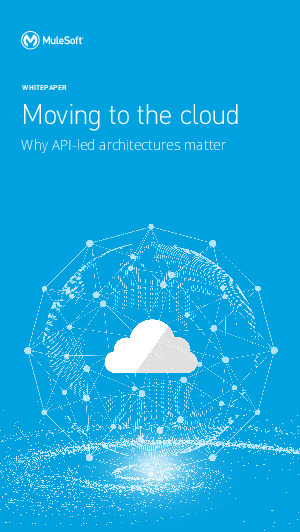 The success stories of HSBC and the Federal Communications Commission (FCC), and how they used APIs in their “move to the cloud” initiatives.